Lenovo Vibe P2 Price, Specifications, Release Date, Features: At IFA 2016, Lenovo new smartphone news was spotted in the market. This new smartphone is named Vibe P2. It is the successor of Vibe P1. P1 was the battery focused smartphone which was not a great device. P1 got the good response but that response can’t be called tremendous. Talking about the Lenovo Vibe P 2, this phone seems to be perfect smartphone just made for the user who likes to play with the gadgets. Lenovo P2 features 5.5 inches full HD Super AMOLED display with a resolution f 1920 x 1080 pixels. P2 is protected with the Corning Gorilla Glass technology. Vibe P 2 is powered by Qualcomm Snapdragon 625 (SD 625) processor which is clocked at 2.0 GHz. For graphics, the company is offering Adreno 506 in the device. The processor is coupled with a powerful RAM. The company is offering two variants in terms of RAM. Check: Microsoft Surface Pro 5 Release Date. The first one comes with 3 GB of RAM and the other one comes with 4 GB RAM. The company is offering an internal memory of 32 GB on the device. Reports also said that Lenovo may introduce a variant with a storage capacity of 64 GB. The device will run on Android OS Marshmallow v6.0. The new vibe P 2 will have a 13 MP rear camera on the back with Sony sensor and flashlight. On the front, there will be a 5 MP shooter for selfies and video calling facilities. There will be a fingerprint sensor on the front of the device and also NFC support. The battery of the device will be 5,100 mAh. This battery supports rapid charging technology which can charge the device in a short period of time. The price of the device is not fixed but it is said that the company will launch the device near to $299. The last VibeP1 was launched at Rs. 15,999 in India and the upcoming Vibe has got extra features and additional RAM with respect to P1. So, P2’s price will be slightly higher than that of P1. Along with the Vibe P2, Moto M is also launching in the market which will have 5 inches full HD screen and powered by 2.1 GHz octa-core MediaTek MT6755 processor. Under the camera section, there will a 16 MP rear camera and 5 MP front shooter. 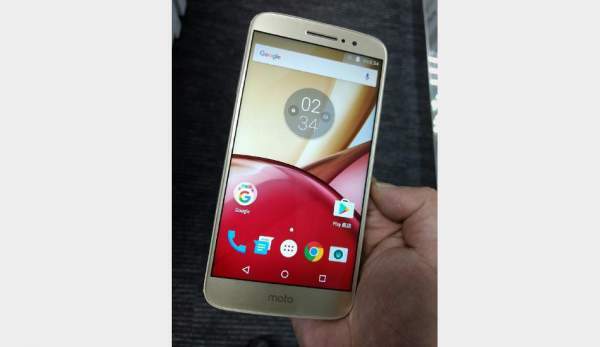 It is said that Moto M will have 3 GB of RAM and 32 GB internal memory and will have a battery backup of 3,000 mAh. Both the device are said to be launched on 8 November. Hope you have got all the information. Stay tuned for more updates and more rumours.